The most powerful EL84CZ available! 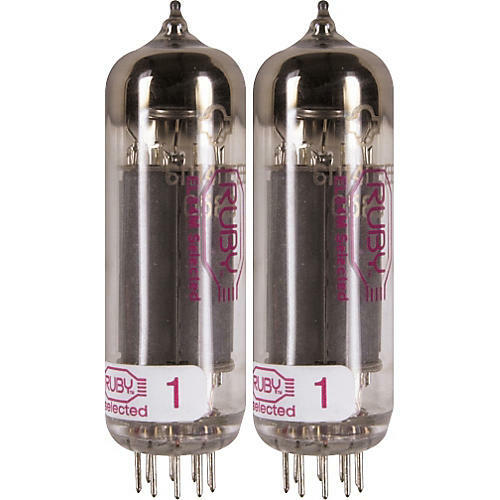 A premium tube that produces more power, more tone, and higher fidelity with an extended dynamic range. All Ruby output tubes are labeled on the base with the exact matching measurements for plate current and transconductance. By matching these parameters, optimal performance and long life are ensured. Comes with a 6-month replacement warranty.